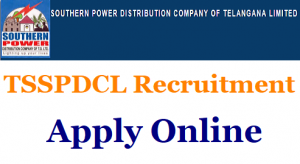 TSSPDCL JAO Recruitment 2018 Notification was out with the Junior Accounts Officer Vacancy and had updated at the main website @tssouthernpower.cgg.gov.in., interested ones could apply online from Dec 2018. Know the complete details by following the given details in the below. TSSPDCL JAO Notification 2018: Let you say, would you like to work with Telangana State Govt Department? or Would you like to join the TSSPDCL? so, if you would really interested in TS SPDCL vacancies, then this one is the best notification for you because we give 100% sure about this Telangana SPDCL Notification of 2018. In a couple of days back, the officials from SPDCL of Telangana State had released latest TSSPDCL JAO Vacancy and inviting the eligible applicants through online mode. All the necessary information, as well as important links, are provided in the below description. Catch for more latest Telangana Govt jobs in 2018 at here. TSSPDCL Junior Accounts Officer Vacancy 2018 are released and these jobs information along with main notification and main TSSPDCL online application forms were uploaded in this article, you could find them in the below description. Furtherly, if you wanna know more, you can simply visit the official website of Southern Power Distribution Company of Telangana Limited @tssouthernpower.cgg.gov.in., well coming to the registration dates, those details also were shared in the below. The thing, you need is to know the full information about the TSSPDCL JAO Notification before going to apply in online at the legit primary website. Refer the more Central Govt Recruitment notifications through our page. The minimum schooling certifications in B.Com 1st class or M.Com 1st class or pass in CA/ICWA-Inter from the specified Govt university or board are required. Most those who will have these certificates are applicable. Must be in between of 18 to 44 years of age, In any case, anyone had applied their simple reject. The TSSPDCL was so strict in terms and conditions. Applying candidates must and should have to follow them. Approximately Rs. 34630-1425-36055-1700-44555-1985-54480-2280-56760 per month of each head, who will be going to place into the 114 Junior Accounts Officer posts. Usually, TSSPDCL goes on every year with two rounds are called TSSPDCL Selection process, it consists of “Written test and interview” Sections. Coming to the Fee matter, Candidates from Reserved and Unreserved families have to pay 100 rs and in additionally, the examination fee is 120 Rs. on each head. Refer the other details about of pay and on which pay. Apply Online SPDCL TS Notification of 2018: Well, coming back to the notification announcement, the Southern Power Distribution Company of Telangana Limited officers are calling the eligible candidates through online mode registration, for registration required major links are placed in the downside of this article, you could easily find them by scrolling down. Before going to apply online once should go to the Southern Power Distribution Company of Telangana Limited official site to refer the TSSPDCL JAO Notification details well to get a clear idea that on how to apply to this notification. Do you want to know since when the TSSPDCL JAO Application Form opens? Then, here is the answer to your question. The links were in active since the last date, this whole process will continue and all progress will be run under the control of TSSPDCL Officials. So, You don’t to need worry at any cost. But while filling time, don’t do any kind of mistakes, enter the correct details. The Login portal of TSSPDCL JAO Online Application Form is given in the bottom of the page. From the downside of the page come once to know the very clearly. For other related Govt jobs in Indian Army also available on our page. Firstly, visit the legit website @tssouthernpower.cgg.gov.in., search for main notification and click on it. Later, fill up the required details and click on it. After clicking the submit button, take a hard copy for future safety purpose. But enroll your names on or before of the last date of 19th Feb 2018. Check the TSSPDCL JAO syllabus post in this page. In reservation category what do G and R mean? sir is AP students can also apply this job????? Sir I got 55% in degree and 70% in MBA, can I apply for job. Sir I got 55% in degree and 70% in MBA, can I apply for the job? sir l am sc categery l have 2end class of PG and DEGREE so plase choice me sir. Whether it is a Basic Pay or Net salary ( Rs.34,630).